The claddagh image with it's hands, heart and crown symbolizes friendship, love and loyalty. 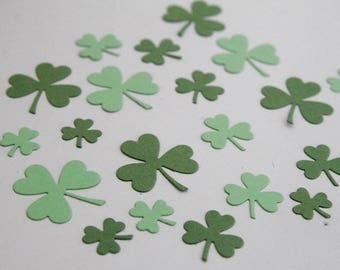 What perfect image to use for wedding place cards or a St. Patrick's Day event. These hand made place cards will grace your dinner tables in an elegant way and can also be used as food tents or food labels. Celebrating a special wedding anniversary? 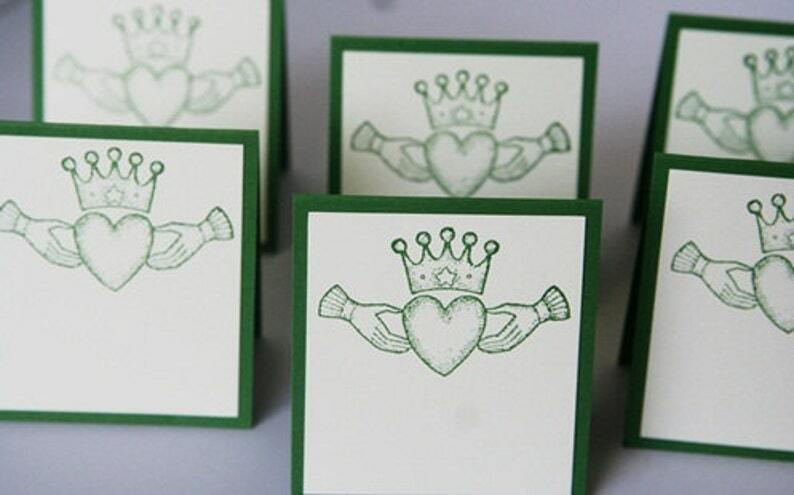 These place cards symbolize some of the most basic elements of a successful marriage. The claddagh image is hand stamped in green ink onto ivory card stock. The base layer of green card stock matches the ink color. • The place cards measure 2.75 x 2.5 inches when folded. They will come to you scored and folded. **Looking for a large order of these for your event? Feel free to contact me and I can create a custom listing just for you. These cards are very sweet and they arrived quickly. They were just what I wanted, thank you.